That's a terrible nod to the song, but I'm not up to being terribly clever. 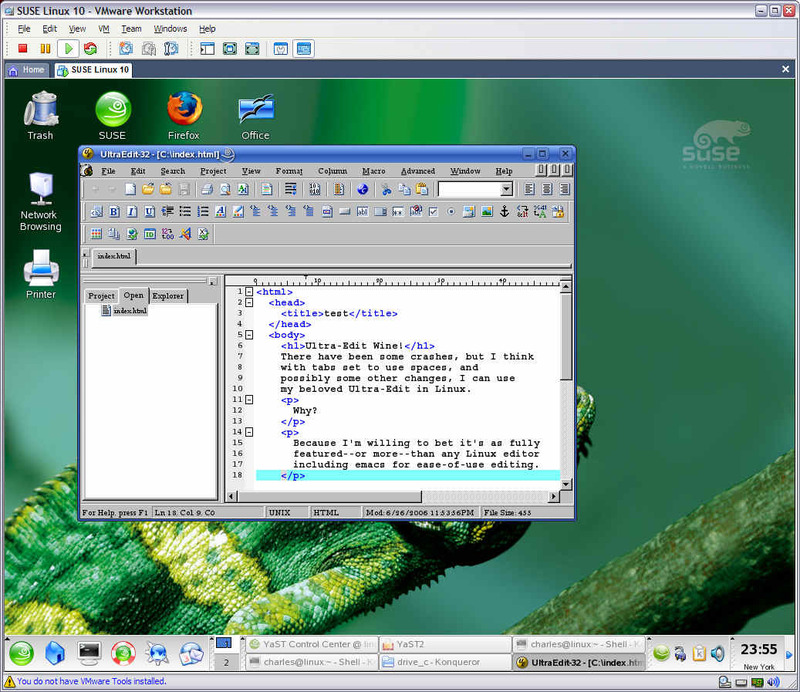 Here's a screenshot that shows Ultra-Edit running inside Suse Linux (via Wine), which itself is running inside VMWare. Click the image for full size. Not sure if running UE this way is stable enough, but I'd love to hear someone tell me of an equal GUI text editor that runs natively in Linux. Must have: columnar editing, hex editing (with Search and Replace), syntax highlighting.